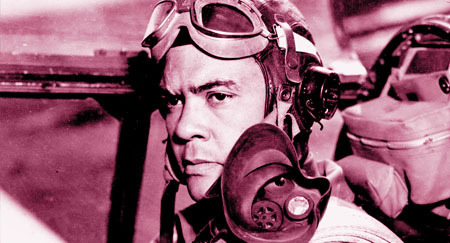 The Tuskegee Airmen were the first military fighter and bomber pilots in the United States Armed Forces. From 1941 - 1946, over 1,000 Black pilots were trained at Tuskegee. They included the pilots, navigators, bombardiers and instructors associated with the Army Air Corps program in Tuskegee, Alabama. Technicians, radio operators, supply personnel, medical personnel, parachute riggers, mechanics, bombardiers, navigators, meteorologists, control tower operators/dispatchers, and cooks were also considered Tuskegee Airmen. There were also women at the base who worked alongside the men as mechanics, gate guards, and control tower operators, and other occupations. In spite of adversity and limited opportunities, African Americans have played a significant role in U.S. military history over the past 300 years. They were denied military leadership roles and skilled training as many believed they lacked qualifications for combat duty. Before 1940, African Americans were barred from flying for the U.S. military. 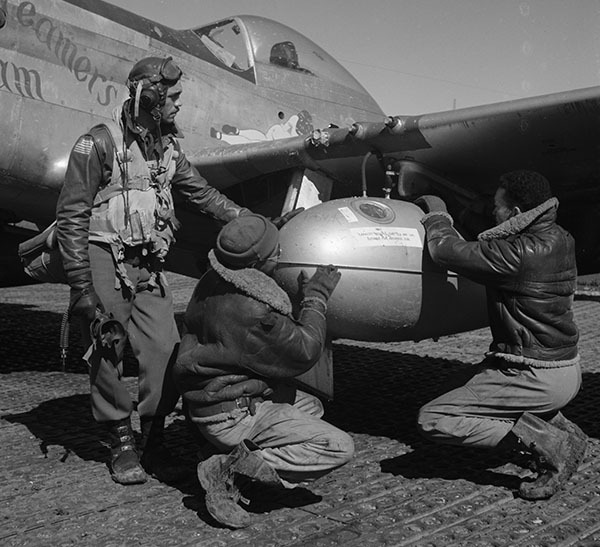 Civil rights organizations and the black press exerted pressure that resulted in the formation of an all African-American pursuit squadron based in Tuskegee, Alabama, in 1941. The Tuskegee Airmen overcame segregation and prejudice to become one of the most highly respected fighter groups of World War II. They proved conclusively that African Americans could fly and maintain sophisticated combat aircraft. The Tuskegee Airmen's achievements, together with the men and women who supported them, paved the way for full integration of the U.S. military.